Not all Monitors are created equal! You cannot judge colours from your monitor, images and designs can appear a completely different colour from one monitor to another. For a good reproduction of colour on screen you need to use Adobe RGB (1998) colour profile and calibrate your display. Unfortunately if you expect to get the same colours when printing, as you see on your monitor, you are probably going to be disappointed. 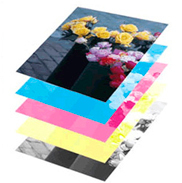 Each type of printing process, Digital V's Litho V's Screen V's Desktop Printer, will produce different results. 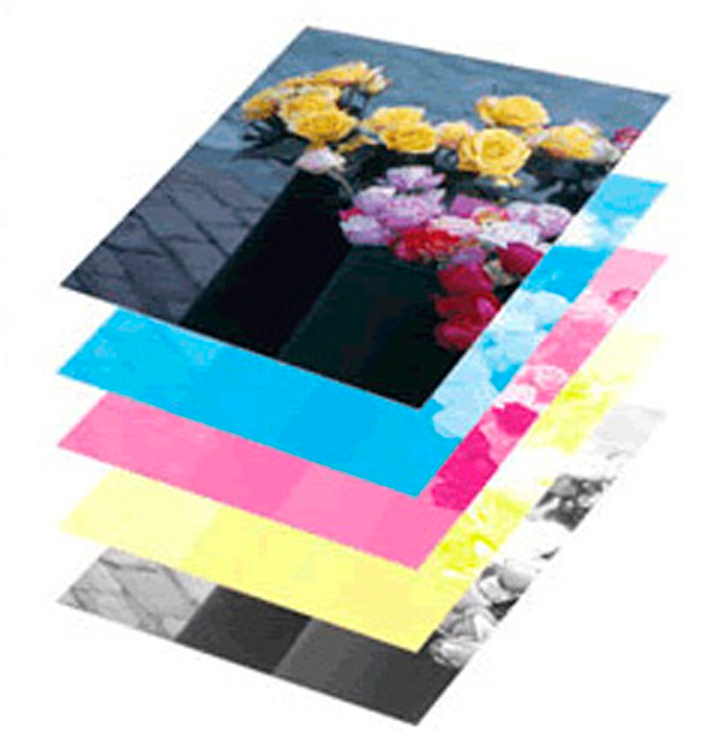 Inks appearance on any paper is affected by: the Paper’s Stock, Surface Coating and Brightness. Ink will look differently when used on different type(s) of paper and when applied to sheets with different types of coating(s). If you’re putting together an integrated package that uses “glossy” stock for some elements and Dull, or Matte for others, even if you use the exact same colour on all pieces, the colour will differ, on some stock more than others. This also applies to toner when using laser printers. You should discuss this issue with us and we will advise you on the best options available to deliver the result you desire. Let there be light - or put it another way, RGB is the technology for mixing (R)ed, (G)reen and (B)lue light in order to produce any imaginable colour. This technology and colour mixing process is used by all computer screens and electronic devices. You should always design in RGB if your final artwork is going to be used on computer screens or digital devices. 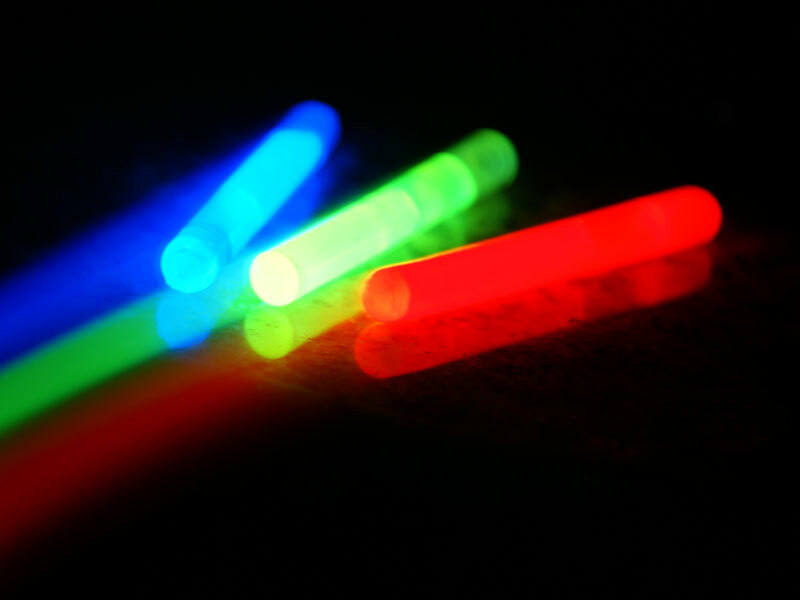 RGB can give you very bright and nice colours (after all, it’s a light show) that are impossible to produce using inks. If you forget about this, you might end up with a great online design that looks quite dull when printed. Unlike computer screen, printers cannot use light to paint colours on paper, which is why we have to use the next best thing, good old ink. 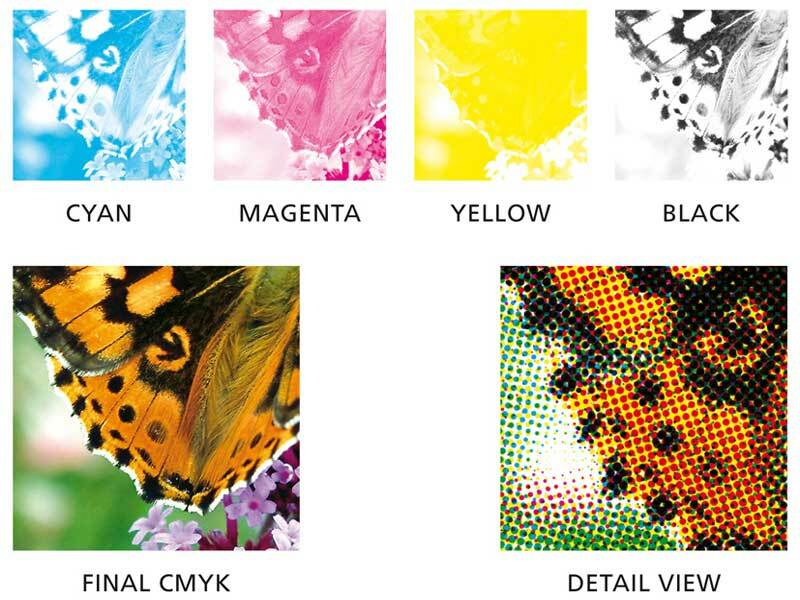 All desktop and professional printers mix four different ink colours — (C)yan, (M)agenta, (Y)ellow and (K)ey (Black) which is abbreviated as CMYK. These four colours can be mixed together in varying amounts to produce thousands of different shades and hues on paper and other media. But as you can imagine, mixing CMYK inks is very different than mixing RGB light. For example, if more lights are added to RGB it produces brighter colours where as adding more ink in CMYK produces darker colours. 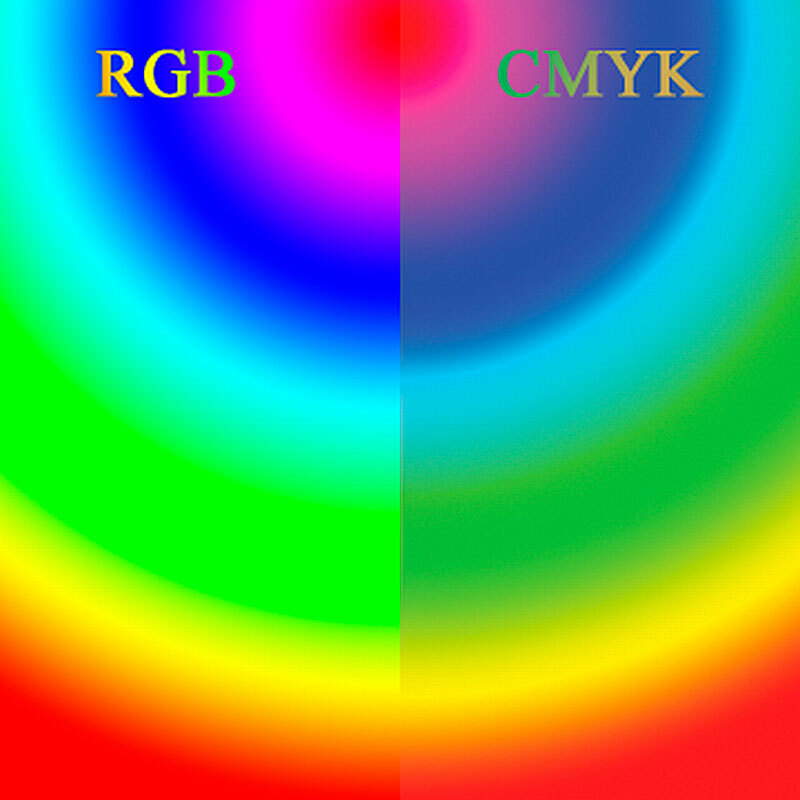 In RGB, White is defined with the maximum value of each colour channel (R:255,G:255,B:255), while in CMYK mode it’s defined as a complete lack of colour (C:0%,M:0%,Y:0%,K:0% ). Something else to remember, Pantone colours cannot be accurately reproduced in CMYK. "Better to have had a pixel and lost it, than never to have created it at all"